The Jacobs Foundation is delighted to announce the Klaus J. Jacobs Research Prize 2019. The prize is open to the scholars, academic institutions, and professional organizations all over the world who are engaged in research on children and youth. This award will be provided to a respected, outstanding researcher doing ground research on children and youth. It addresses the scholars of all the countries who have achieved great success in understanding child and young development as well as actively pursuing the field by research. 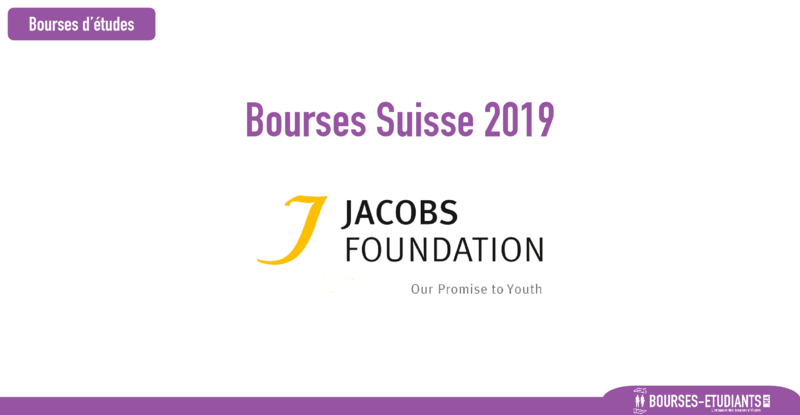 Scholarship Provider: The Jacobs Foundation is one of the world’s leading charitable foundations dedicated to facilitating innovations for children and youth. It was founded in Zurich by entrepreneur Klaus J. Jacobs in 1989. Degree Level: The scholarship will be awarded to the researchers. Available Subject: the scholarship will be awarded in the field of child and youth development. Scholarship Benefits: The prize is endowed with 1 Mio. Swiss Francs, of which 900’000 Swiss Francs are for use in a research project and 100’000 Swiss Francs are for related costs, such as travel, networking, and dissemination. Entrance Requirements: Scholars, academic institutions, and professional organizations all over the world who are engaged in research on children and youth are encouraged to submit nominations. Potential recipients may come from any scholarly discipline that seeks to enhance the development and living conditions of children and youth. This includes, but is not limited to, educational sciences, psychology, economics, sociology, family studies, media studies, linguistics, neurosciences, computer sciences, and medical sciences. The mode of application is online. Incomplete nominations or documents received after this date cannot be considered.